I have read about the heavier rackets for training. Finally I came across few and I bought Victor Wrist Enhancer 140. I bought it via Victor distributor in Delhi. They person with whom I interacted was really helpful in getting the racket across. It cost me around Indian 4000 rupees in total. 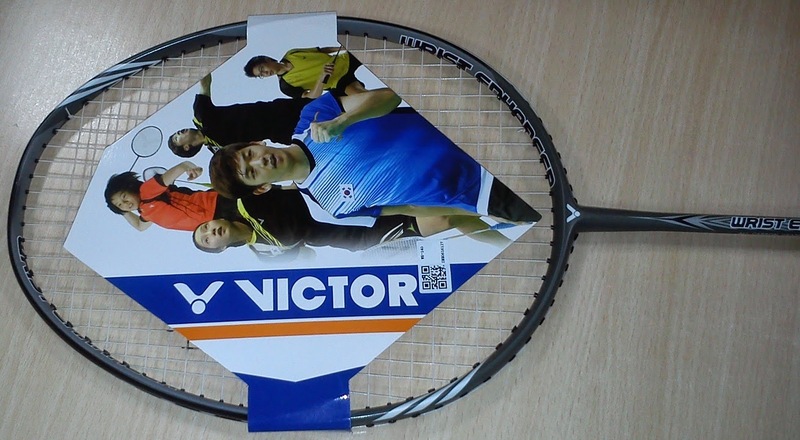 There are two version of training rackets from Victor, Wrist Enhancer 120 and 140 which are weighing at 120 grams and 140 grams respectively. I went for the heavier one since in general normal rackets that we use weighs in at around 90 to 100 grams with grip and guts. WE 140 is really helpful when doing toss and strokes. In general the usage pattern that I follow is to use it while doing shadow or mostly when doing strokes. Use this racket only for short duration. I use it from 5 minutes to 15 minutes depending on how fatigued my hand is from previous day's games or how energetic I am feeling. Because of the heavy swing, there is a chance that you might yourself. After using this, I was able to feel the difference in wrist power. I was very careful when using this during initial days and did not go overboard, as it easy to injure yourself. 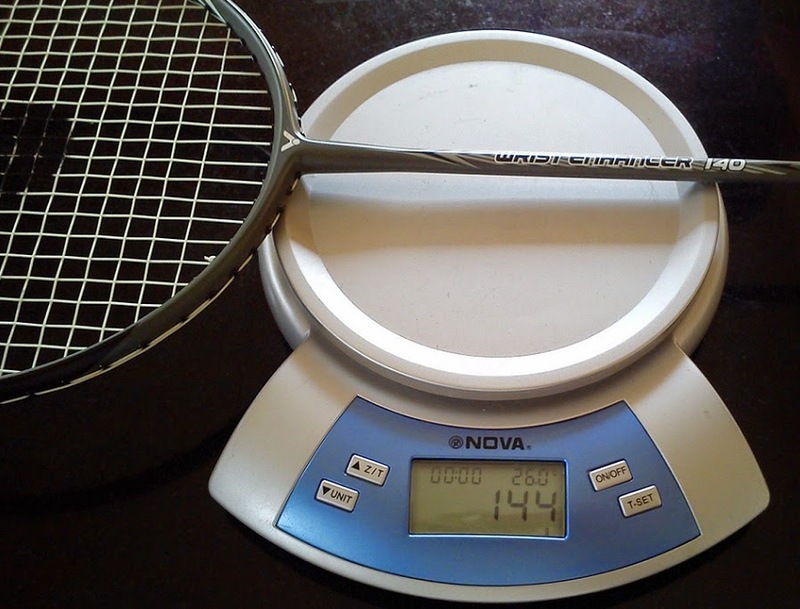 Weight of this racket with thin grip and guts come to around 144 grams. Initially I used it only for tossing. Maximum tension that can be given for WE 140 is 24lbs which is fine. But right now, I think the gutting that has been done is at a lower tension, hence its is a bit tough to send it from one baseline to the other baseline. This racket is like a long term investment. Do not expect over night returns. This racket along with upper body strengthening can show some results is my observation based and that too based on your skill levels. Alternately you could have bought APACS wrist enhancer series rackets. The are available in 120 , 140 , 160, 180 and 200 gms respectively. You will have to buy them from Ebay.com as they will arrive from Malaysia @ 40 - 43 USD approx ( Rs 3500 ) . Rackets are of extremely good quality High modulus graphite and do their job as intended. I bought 160 and 200 gms models . The seller strung them @24 lbs with awesome awesome .66mm string which are really very good along with 2 additional grips. Do check them before buying any other wrist strengthening rackets. Enjoy..........!!!!!!!!! Wow, thanks for the info. Did you have any problem with the customs? You got a very nice review of the products. This was really helpful btw I also happen to see a video from sunriseclick.com about the authenticity of your bought products they have this system that you can check for you to be sure that the items that you are getting are 100% legit! Thanks a lot Kebs for your kind comments!